Do you want to learn more about landscape photography but don’t have time for a multi-day workshop? 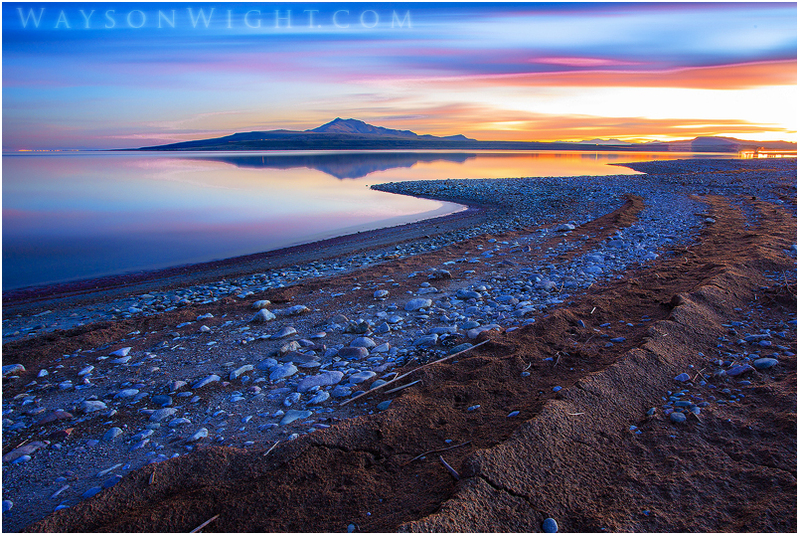 Why not join me on either a Saturday or Sunday at the very photogenic Antelope Island State Park to hone your skills and capture the Great Salt Lake’s ethereal beauty. I have been photographing this location for years and have come to know the Island very well. I return again and again because it provides great opportunities to follow the very best light, whether it’s East, West, North or South. The fact that we will be on an island allows us to read the weather and the sky to increase our chances of coming back with great imagery. Along with showing you the Island, I will provide 1-1 instruction. We’ll begin with a discussion about your level of photography, find out the best subjects to focus on to improve YOUR specific skills and throughout the afternoon/evening I’ll tailor my teaching to these points. Common starting point subjects include; understanding F stop/aperture relationship, using ISO speeds to our advantage and different focusing techniques. When we have a good grasp of the fundamentals, we can move on and discuss how to use these to make the most of your images. From here I’m able to begin the discussion around composition techniques, reading light, and the importance of pre-planning to make the most of whatever conditions are present, in other words, we can then focus on the creative side of the medium. Depending on the time of the year our meeting times will vary (anywhere from 12-4pm), we will meet at parking lot at the entrance of the island. The total time expected to be on the island hiking/driving/shooting will usually be around 4 hours. Due to my schedule being inconsistent a prior email is required to ensure I’ll be available on the weekend you would like to attend. If you’re interested or would like to ask any questions, please send me an email via the contact link at the bottom of the page. I hope to see you at the Island!! We will be based out the town of Moab, Utah. Moab is one of my favorite places I’ve ever stayed, it’s a cool small town lined with unique shops/dining, but most important for a group of nature photographer’s the town is located very near the entrance to both Arches and Canyonlands National Park. If you haven’t been to either, they are incredibly diverse Parks and offer some of the most impressive features and sweeping views to be found anywhere on the planet! We will be shooting a variety of locations at Parks. I have explored both in all seasons and have scouted many locations that work well for sunrise and sunset. We will read the light, take into account the weather and tailor our locations to what the skies are offering (a good idea on any photography trip!). We will meet in the mornings at the entrance to the park we will be going into, and I will ask that you follow me in your own vehicle. If any of you aren’t comfortable with this e-mail back and we can work out an alternative. 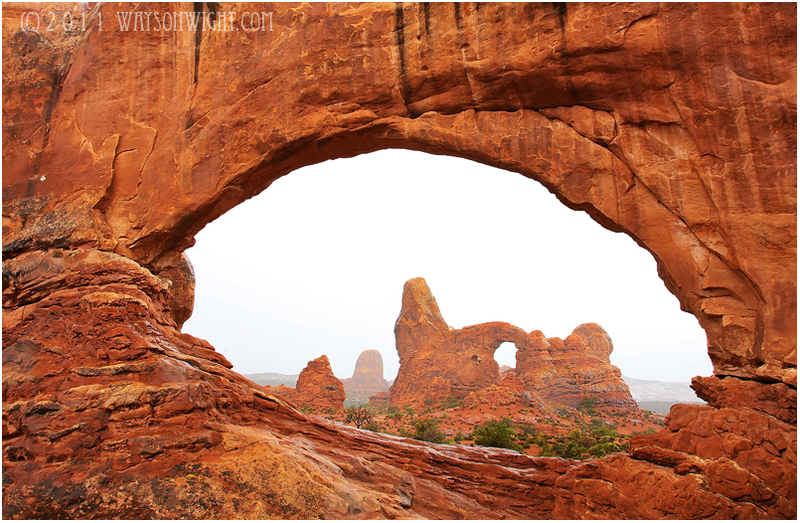 Arches National Park, a potential location for the workshop! We will meet at our first shooting location on Saturday morning pre-sunrise at the park entrance of either Arches National Park, or Canyonlands National Park (depending on what the conditions are) and continue on to our first sunrise shooting location. We will shoot the sunrise, and then take a break for a lunch-time photo critique and Q&A session. During this first lunch/critique session I will teach on various nature photography related subject matter; including depth of field, composition, reading light and technical camera functions/settings with a Q&A session at the end. This is a chance to ask your lingering questions! During the lecture I will provide each attendee materials to take home so you can reference the lessons post-workshop. Also, I will have laptops (if you have your own please bring that) available to pull up our images from that sunrise and we will have a group critique session. Critiquing other’s work is an art-form in itself, and I will ensure it is a helpful productive session with positive discussions. After our lunch we will drive to whatever sunset location we decide upon and end day one with a bang! We will then return to Moab to our respective hotels and get ready for day 2 on Sunday. Sunday will begin just like the prior day, pre-sunrise at the entrance to one of the two Parks. As far as the structure of the day, it will be very similar to Saturday, but rather than a lunch-time lecture, we will take a short break. Some of you may want to rest/nap or if anyone is up for it, we may go on a short beginner/intermediate hike to explore the Parks in greater detail. A hike can be a great way to make the most of those mid-day hours that provide lighting not conducive to nature photography. After our break, we’ll end up at our final shooting spot for sunset on Saturday night and wrap up the workshop there. If you’re extending your stay in Moab (either pre or post workshop), I can give you ideas for a great vacation, whether you’re looking for high adventure on the Colorado river, or a relaxing hike on one of the many famous trails in these parks. Moab is an excellent place for the outdoor enthusiast and the area provides a HUGE variety of unforgettable activities. I’ll be happy to help you plan out any extra time you may have. Anyone. Most of the subject matter will be directed to the beginner to intermediate photographer, however anyone with a passion for photography can benefit from my knowledge of the area and passion for outdoor photography! This is my first multi-day workshop I’ll be hosting, and I can promise it will be a relaxed and fun atmosphere spent amongst likeminded folks who love the outdoors and nature photography. $599 per student. This includes lunch on both days. Also, 1-1 instruction from during our sunrise session and all the Q&A you can handle throughout both days. A $199 deposit (non-refundable) will be required to reserve a spot. An intensive workshop like this is an investment in yourself as I will share anything/everything I’ve learned about outdoor photography over the years. I’m fully confident you will leave with not only great memories photographing some of the most beautiful places in the southwest, but more importantly, you’ll leave with a greater understanding of your camera’s capabilities and limitations, along with knowledge of how to overcome those limitations. Also, techniques we will cover in finding composition and reading light will forever change the way you see the landscape and help you make the most of you outdoor adventures with camera in hand. If you like nature photography and the outdoors it doesn’t get much better than a weekend in Moab, Utah. All attendees will need a basic DSLR camera (preferably with a wide angle lens). Tripods are mandatory. Additional photography gear that will be helpful but not necessary includes; circular polarizing filter and graduated neutral density filters. If you don’t have these I can show talk about technique to overcome lighting challenges that these help with. If you have questions at all here, please use the contact link below to ask, I’ll be happy to clarify! We’ll be shooting at sunrise and sunset which can be chilly in the desert, so warm clothes will be a must to stay comfortable. A few layers to work through the temperatures throughout the day will be helpful as the temperatures will vary greatly from the cold morning to the warmer afternoons. Again, please ask any questions. I’m going to need a minimum attendance of 4 students to host the day, so the group size will be between 4-6 students. If you want to attend, please reserve your spot w an initial $199 deposit, w/ the remaining $400 to be paid on site day of workshop. Thank you and I look forward to seeing you there! It’s that time of year again, Fall is right around the corner and the peaks and valley of the Wasatch Front in Utah are about to present their very best color. For anyone who enjoys nature photography, it is the best time of the year to get outside and create images and memories. For me, its about sharing what I know about my local shooting locations and photography. ITS TIME FOR A WORKSHOP!!!! I present to you the 3rd Annual WWP FALL PHOTO WORKSHOP. DETAILS BELOW. One of the workshop locations. Join us! Meet-up will be at the Park-and-Ride at the mouth of Big Cottonwood Canyon. 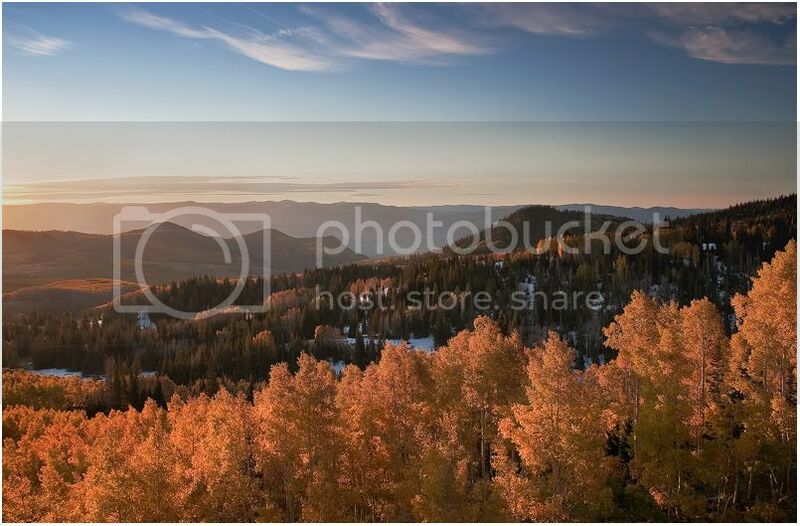 We will shoot various locations on the East side of the Wasatch Mountains (Park City/Heber side). We’ll follow the light at some of the best locations beginning at sunrise and ending sometime in the early afternoon in American Fork Canyon. We’ll start near the top of BCC, work our way down through Midway, onto the Alpine Loop where we’ll shoot one a few locations depending on the light conditions. Saturday, October 7. We’ll plan on meeting at the Park and Ride at the mouth of Big Cottonwood Canyon around 6am. Plan on being back to vehicles sometime early afternoon. Why? I have spent years shooting northern Utah during Autumn and along the way have gained knowledge of some beautiful places to be and the best times for the best light to be there. Autumn in Northern Utah is spectacular as the Aspen, Oak, and Maple present their brightest red and golden hues of the season. Allow me to share what I’ve learned about photography as I share these locations. You will get first hand instruction from me while we shoot sunrise, in addition, we will have a technical learning session as we eat lunch and enjoy the outdoors. During the lunch/classroom session I will teach on various nature photography related subject matter; including depth of field, composition, lighting, and technical camera details, with a Q&A session at the end. We’ll then return to the vehicles, ideally w memory cards full of great images! Anyone. Most of the subject matter will be directed to beginner to intermediate photographer’s, however anyone with a passion for photography can benefit from my knowledge of the area and passion for outdoor photography! This is my first ever workshop I’ll be hosting, I can promise it will be a relaxed and fun atmosphere spent amongst like minded folks who love the outdoors and nature photography. $199 per student. This will include transportation throughout the day, and lunch will be provided. Also, 1-1 instruction from myself during our sunrise session and all the Q&A you can handle. A $99 deposit (non-refundable) will be required to reserve a spot. All attendees will need a basic DSLR camera (preferably with a wide angle lens). Tripods are mandatory. If you have questions at all here, please use the contact link below to ask, I’ll be happy to clarify! We’ll be shooting at sunrise which will be chilly in early October at elevation, so warm clothes will be a must to stay comfortable. A few layers to work through the temperatures throughout the day will be helpful as the temperatures will likely vary greatly from the cold frosty morning above, to the warmer afternoon in the valleys. I’m going to need a minimum attendance of 2 students to host the day, so the group size will be minimum of 2, maximum of 6. A few closing thoughts from me here. I’m confident I have valuable information in both technical knowledge, as well as local spots to best capture light and the Autumn experience. If you have any questions at all, please ask using the contact link below. I am energized and focused on providing a day of photography that will challenge and improve the skills of those who attend! If you want to attend, please reserve your spot w an initial $99 deposit, w/ the remaining $100 to be paid on site day of workshop. Thank you and I look forward to seeing you there! Welcome to Wayson Wight Photography! 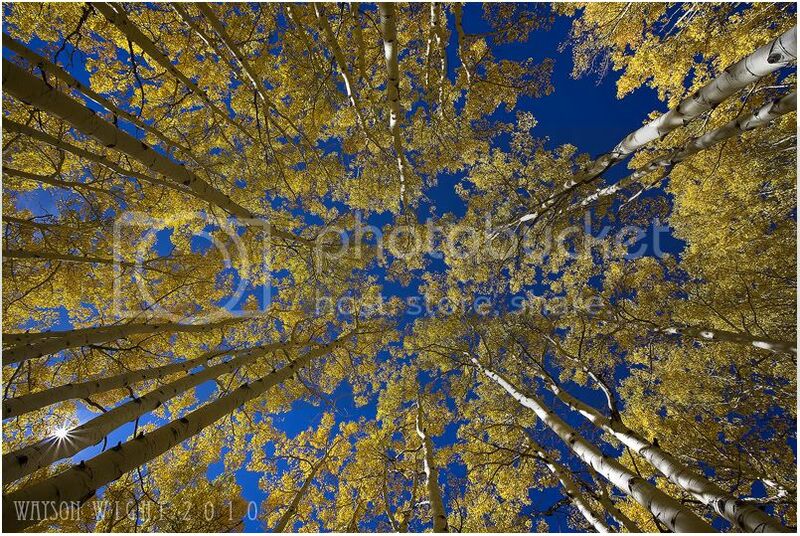 Thanks for visiting the nature and landscape galleries of Wayson Wight Photography. Throughout the site you will find inspiring images taken from various parts of the United States and beyond, including Colorado, Wyoming, California, Mexico, and Costa Rica, with an emphasis on images taken in Wayson's home state of Utah.